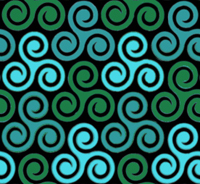 This site is the official home of The CR FAQ and related articles on Celtic Reconstructionism. 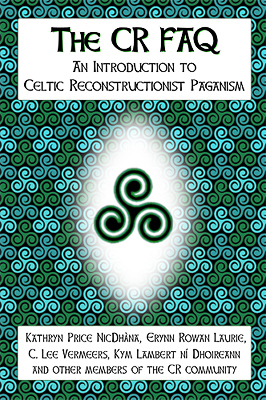 Collectively-authored, consensus answers to Frequently Asked Questions about Celtic Reconstructionism. Created by a diverse collective of CR elders, representatives of established CR sub-traditions and other long-term practitioners - including some of the founders of the tradition - it is only the second CR document in existence that speaks for more than one group's vision. While most of the text is familiar to those who've visited our website, the book also contains 37 pages of additional material, including a glossary and pronunciation guide intended to familiarize readers with the basics of the Celtic languages as well as assist in pronouncing Celtic terms and Deity names. It is indexed and thoroughly cross-referenced, making it very user-friendly for beginners as well as those with many years in the tradition. A preview is available here. In 2007 and a handful of times since, we have participated in a worldwide effort to protect the sacred Hill of Tara and the surrounding Tara-Skryne Valley, home of many sacred sites and irreplaceable archaeological treasures. This is the ritual outline we used, along with notes on what we did to support the actionists on-site. Website design, code, graphics, and look and feel copyright ©2006 Kathryn Price NicDhàna for Big Electric Celt.